Kolkata weekend tours– Here is a list of some excellent destinations within Kolkata – the city of Joy. 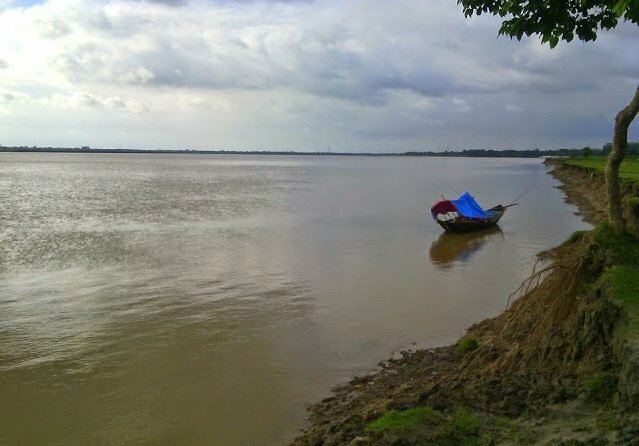 Written by a local traveler for relevant & a good weekend trip within Kolkata. It is a monument of legendary history. Lord Curzon’s brainchild as a memorial to the Empress of India and Queen of the United Kingdom, Queen Victoria after her death in 1901, the Victoria Memorial was modeled on the Taj Mahal and was commissioned in 1906. The memorial holds numerous paintings of the British royal family, miniature paintings of the Mughal School, oil paintings of the Company School, historical artifacts like the throne of the Nawab of Bengal, many lithographs and documents of historical interest, and various post-Raj artifacts significant in the history of Kolkata (added to the collection after independence). The memorial is set in extensive and beautiful lawns and is lit up at night. A laser audio-visual show is held on the lawns every evening. ‘Nike’, the Greek Goddess of victory, on the top of the museum is said to be haunted and has been prominently featured in many Kolkata stories and novels. 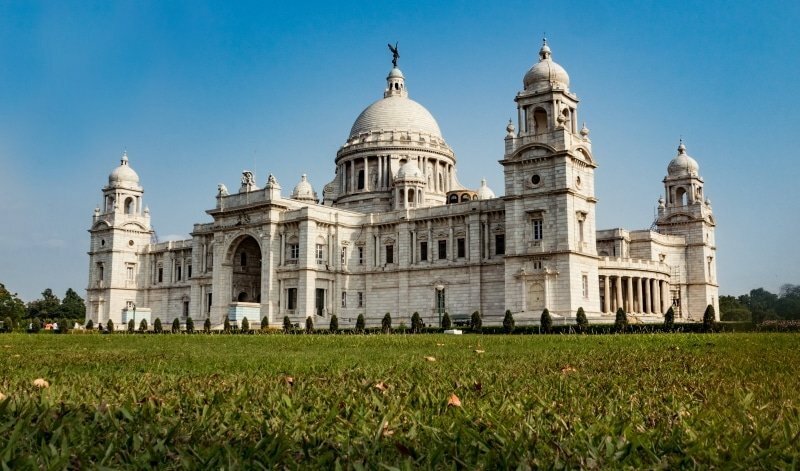 It is regarded with pride and joy in Kolkata and colloquially referred to as the “Victoria”. The largest museum in Asia and the oldest in Asia Pacific region, you can have a close rendezvous with Egyptian mummies, dinosaurs’ fossils. It has been founded by the Asiatic Society of Bengal; the Indian Museum is the oldest and the largest multi-purpose museum in the entire Asia-Pacific region of the world. It was the formation of this museum that pioneered the idea of having a museum to foster man-made and natural objects of national importance. The collection at the museum is so remarkable that it is often regarded as the “Jadu Ghar” or the house of magic by the locals. Built in the Italian style of architecture, gives a magnificent view of the museum. It has six departments for Art, Archaeology, Anthropology, Geology, Zoology, and Economic Botany, comprising more than sixty galleries. It is regarded as an Institution of National Importance by the Constitution of India. A complex near the Eastern Metropolitan Bypass featuring a lot of interactive science and live bio-science exhibits and Kolkata’s first OMNIMAX theatre. Situated at Bentinck street, one of the busiest portions buzzing with many activities, famous adda and Fun spot for everyone and every kind of people. It is well known for Shopping, playing, Fun activity, Picnics, Sports indoor, sports outdoor, Businessman, employees, salesman everyone. The center of attraction of the place is Hotel Taj Bengal, Esplanade Shopping Chains of footpath sellers. Sri Ram Market, Big Bazar, City mart and many small and big malls in and around is the best place for shopping in the weekend. Shopping is these areas are affordable for every kind of people whether is richer or poor on and you can count your own bargaining skills to get the best deals here. To elucidate on my favorite place in the city is something that I am pretty certain of. Ecopark is the most obvious choice from the regional perspective as it is located at the heart of my city. It was inaugurated as a massive source of amusement, but to my belief, it is also prominent for its captivating and enchanting view than any other former places described above. The 480 Acres of land a water body was converted to a most beautiful ecological garden by the Hon’ble Chief Minister of West Bengal Smt. Mamata Banerjee in the year 2012. WB-HIDCO initiated the operation of developing this aspiration called the ‘Eco Tourism Park – Prakriti Tirtha’. Kolkata’s Landmark. An iconic view, it will make you fall in love with the city even more. An engineering marvel in itself. Stopping and photography are not allowed on the bridge. Security guys will object if you take out your camera. The bridge can be clicked from the ferry that takes people from one bank to another. 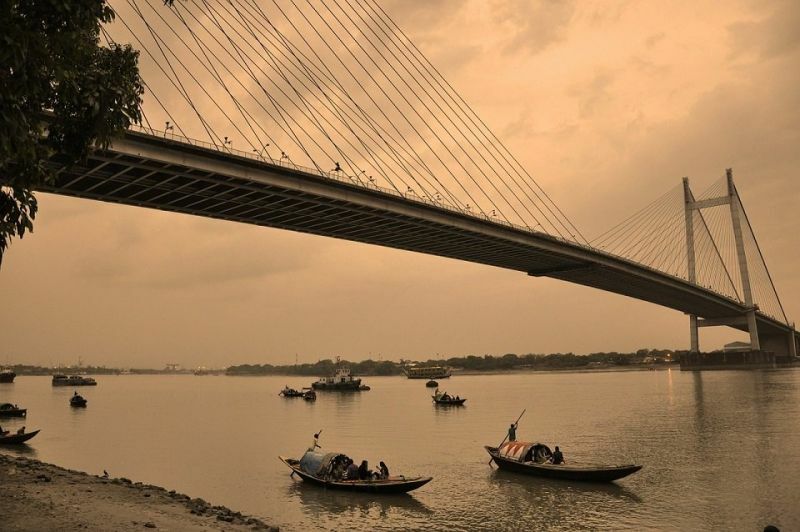 Landmark Bridge in Kolkata, worth a quick visit. Illuminated at night. The other bridge, Vidyasagar Sethu is wider and longer and is tolled. Kolkata’s holiest Hindu temple, dedicated to the Goddess Kali and is one of the 51 Shakti Peethas. Kalighat was a Ghat (riverside) sacred to Kali on the old course of the Hooghly river (Bhāgirathi) in the city of Calcutta. The name Calcutta is said to have been derived from the word Kalighat. It is visited by pilgrims from all over India irrespective of sectarian differences. It can be best visited for God lovers, experience seekers, and photo fanatics. The headquarters of Ramakrishna Math and Ram Krishna Mission was founded by Sri Ramakrishna, the Prophet of the modern age and Sri Ramakrishna’s chief disciple, Swami Vivekananda, one of the foremost thinkers, who is regarded as ‘one of the main molders of the modern world’. The tranquility and purity of the place shall mark your mind filled with positivity. A privately owned collection of eclectic sculptures, paintings and a small menagerie and aviary off Chittaranjan Avenue in North Kolkata. Built by Raja Rajendra Mullick in 1835, have two little-publicized Reubens and a Joshua Reynolds, have over 50 varieties of marble which grace the interiors of this mansion. The list continues with Eden Garden stadium, Princep Ghat, Mother’s Wax Museum, Chowringhee Road, Birla Planetarium, Birla temple, Indian Botanical Garden, Nicco Park, Maidan Central East, College street, Sri Aurobindo Bhawan, Fort William, St. Pauls Church and many more. Dear Readers, Thank you for reading my post on Kolkata weekend tour if you like please leave us a “feedback by clicking the stars” or by your comment!